Blake was diagnosed with Autism in 2014 when he was just 3 years old. Our main concern with Blake has always been safety. He has no concept of danger and will run right into the street, in parking lots and anywhere else he can run. He has escaped our home numerous times even though we have alarms and have had locks to prevent him from doing so. He is an expert escape artist and can figure out any lock and the alarms no longer stop him. Last year in Kindergarten, he escaped the school twice and walked home. This makes our every day life very scary and it is extremely difficult to take Blake anywhere. He still needs to be in a cart in the grocery store. Blake is now 6yrs old and very tall. Soon the cart will not be an option to contain him. On match day, when Blake was matched with Odin, it was like magic. 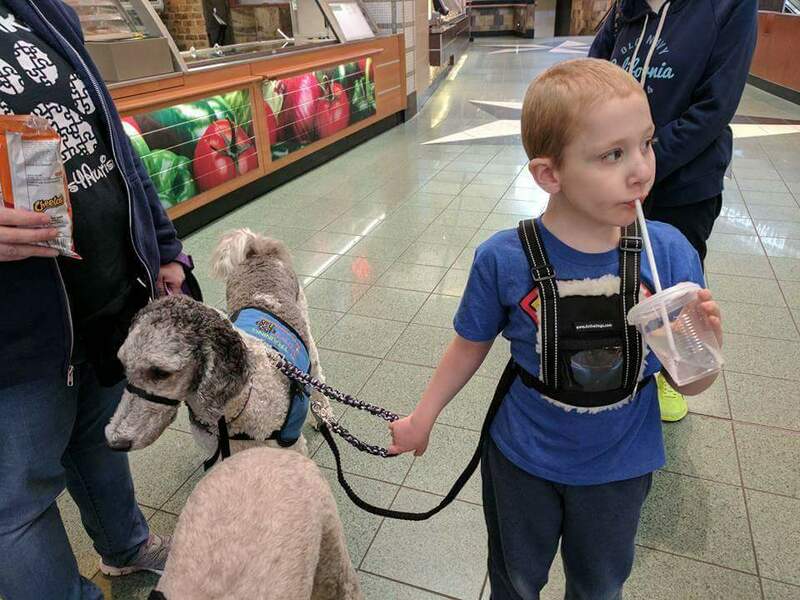 We were able to take Blake to the mall where he walked perfectly with Odin with NO meltdowns or attempts to run away. We also took him to Sam's Club which is normally a trigger place for him, and again, because of Odin, he walked through the store almost perfectly and shocked us all!!! Odin will make a HUGE difference in our lives. We love to do things as a family and with Blake being, well, Blake that is very hard to do. Our older kids (ages 12 & 14) often miss out on things because we just cant take Blake many places. This is heartbreaking. Our family is split most of the time. Odin would change our lives in a HUGE way. We have been fundraising for over a year now and are still working very hard to reach our goal. We have recently moved from Omaha to Arizona which has set us back a bit because we dont really know many people here yet, and that makes fundraising difficult. Please give anything your heart compels you, every penny helps and brings us closer to changing our precious boy's life and ours as a family. 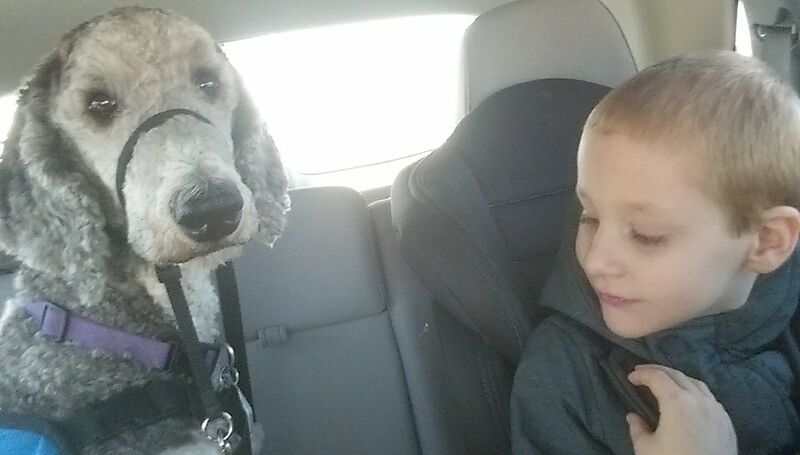 Blake asks for Odin EVERY single day multiple times a day. He KNOWS that Odin belongs here with him. :) God Bless and thank you for your donations.